During our recent efforts at conquering new markets, we had to make several changes in order to diversify our activity and better answer our clients’ needs. Indeed, developing our business worldwide came with many amazing opportunities, and also some challenges. A major one was that our clients have construction sites all across the world, and it was pretty hard for us to be present for them everywhere. To remedy this, our team had to make important decisions, which resulted in a new major investment: new data center servers to store our clients’ data in two new continents. Being a young French organization, our activities naturally started in France back in 2011 when we launched our mobile application. We initiated our first clients to the FINALCAD application, and started digitalizing their construction fields across the country. Software applications typically involve data collection, and like most startups, we decided to store our clients’ data in a US Data Center (DC) to begin with. We knew right from the start that we wanted to have a global business, and extend our app worldwide. That’s why once we started having more serious business relationships with French clients, we began accompanying them on the international scene. Three years later in 2014, this quickly brought us to Asia where some French construction companies are present. One thing led to another and we signed our first client from Asia Pacific (APAC) later that year. 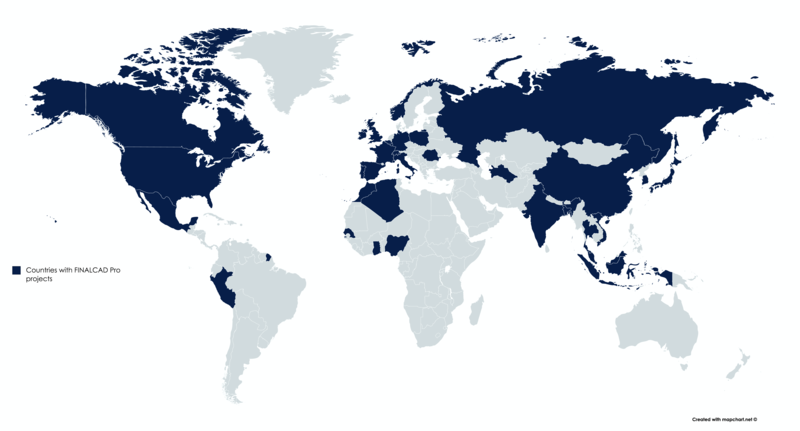 Nowadays, not only do we work with international clients, but our clients are also working in foreign countries, which creates engagement in many different parts of the globe. We work with people in Peru, Spain, Canada, Vietnam, Malaysia, Japan and Morocco just to name a few. This important growth quickly raised a few questions regarding the way we store data. Indeed we realized that having only one DC server in the United States was no longer sufficient to support the needs of our clients. The size of each construction field varies quite a lot, but sometimes it can be considerable, and cumulate a large number of information (eg. 500 tablet devices deployed, 10,000 photos taken and 150,000 annotations for one site). The reality of life in the field is that an internet access isn’t always available, which means data might be synchronised all at once later on. Heavy data means a bigger risk of error during syncing, and a much longer response time which both aren’t optimal for users. Last fall, we then initiated the implementation of a multi data center strategy. This business change entailed the opening of two new locations to store our clients’ data, so that involved making some important decisions internally. Indeed, since the very beginning, we had servers in one data center located in Virginia (USA). With the expansion of our company globally, and clients having constructions sites in different parts of the world, we wanted to acknowledge this diversity and guarantee the best experience possible. To do so, we started getting closer to them physically by opening new offices (eg. in Singapore and Tokyo), but we also needed to get the data closer to them. Why? First off, because we wanted to improve each user’s experience by having better response times when manually syncing project data, as well as enable instant synchronisation whenever a network is accessible. Secondly, being part of a society where data security excessively matters, we wanted our clients to have their information stored in a country as close to them as possible, with regulations that they can relate to. Indeed, even though we are fully compliant with the GDPR, no matter where the data is stored, having multiple servers in different data centres is an additional way of offering peace of mind to FINALCAD users and comply with each country’s specific regulations. During this process, we hired a team of consultants to analyse ways of making such a change, and what were going to be the clear steps in order to implement everything and ensure an efficient transition. The project started back in November 2017, and took about 6 months to complete. 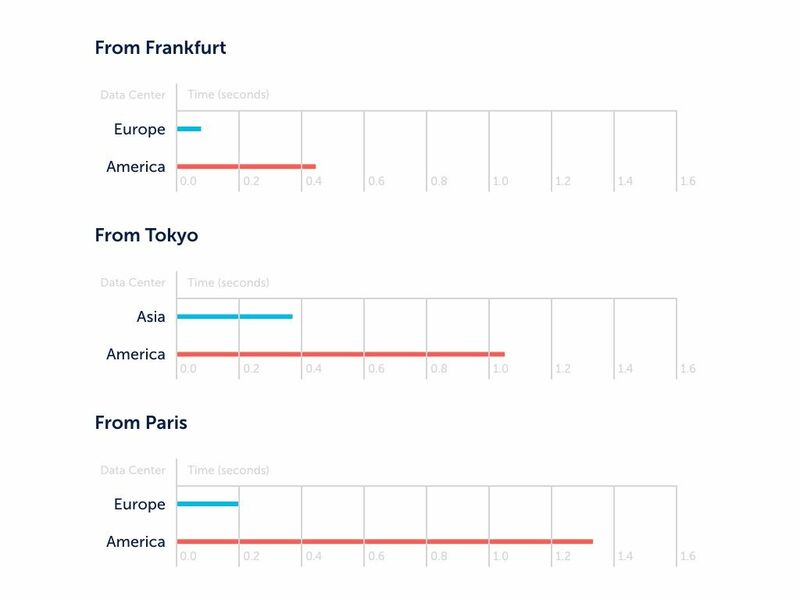 We now store data in three different DCs: one is located in Frankfurt (Germany) for European, Middle Eastern and African data, one is in Tokyo (Japan) for Asian data, and we kept the first one we already had in the United States for North and South American data. Today, our clients’ data is stored in the data center that’s the closest to their construction sites, and stays there. We use a Cloud Application Platform (Heroku / AWS) that offers the best security standards available (eg. local data encryption). Now, response times have improved significantly; data synchronisation is completed 1 to 6 times faster than prior to this change. Not only does this benefit FINALCAD users’ experience, but also our own team. A multi data center strategy is ideal to test new functionalities in one environment only, before deploying it worldwide. It also limits consequences in case of any unfortunate force majeure event. More generally, it’s an opportunity for us to improve our service-level agreement (SLA).